How much is Slavica Ecclestone Worth? Slavica Ecclestone net worth: Slavia Ecclestone is a Croatian former model and the ex-wife of Formula One racer, Bernie Ecclestone. Slavica Ecclestone has a net worth of $1.2 billion. Slavica Ecclestone, also known as Slavica Radic, was born in Rijeka, Croatia. Slavica Ecclestone began her professional career as a model when she was a teenager. She appeared in various editorials, ad campaigns, and runway shows, and worked with such designers as Armani. While modeling for Armani in 1982, she was hired to model as part of a Formula One promotional event that was being produced in partnership with the fashion house. 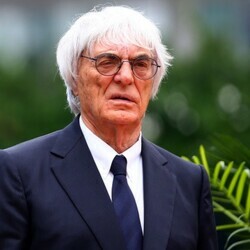 It was there that she met her future husband, racer Bernie Ecclestone. He pursued her with total focus, ultimately overcoming their language barrier (he only spoke English, she spoke Croatian and Italian) and their twenty-eight year age difference. The couple remained married until 2009. Their divorce made headlines, as she received £740 million (roughly $1.2 billion) in the settlement. It is currently the second most expensive divorces of all time.